Want to feather your nest this fall? Look to nature for some cues. Neutrals are the best for your surroundings—walls and permanent fixtures like floors and counters of tile and marble look great in soft neutrals. Shades of white, beige and taupe work well because they allow you to layer with pretty, bright accessories like colorful artwork, velvet pillows and vivid wool rugs. Fuzzy textures like an alpaca throw rug on top of a large, flat-weave rug or wood floor add flair to any room while keeping a clean, modern look. With a uniform background color, you can change accessories easily and modify your whole room—even rotate pillows and rugs from room to room to transform the entire look of a space. 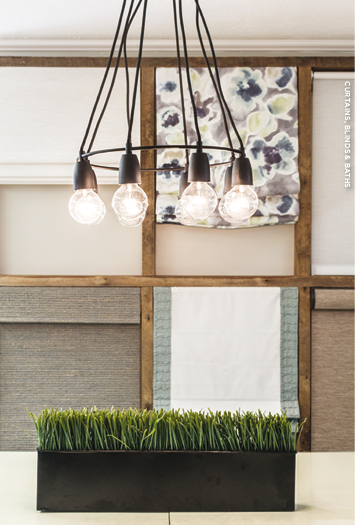 Mady Greer, a designer for Curtains, Blinds & Bath, notes that textiles with a touch of luxury are popular with her clientele. “We’ve seen a resurgence for velvet or velour panels as well as in throw pillows. The added soft texture provides a luxurious yet clean feel to a space,” she says. If neutral is too bland or boring for you when you are choosing drapes, upholstery fabric or bedding, consider tone-on-tone to add slight pattern and movement to your fabrics. Greer notes, “I’ve also seen a lot of tone-on-tone prints in draperies and Roman shades. They provide a subtle print that isn’t overwhelming for most rooms, and our customers like them because they don’t tire easily.” Ikat, gingham check and geometric patterns all look beautiful in varying shades of one color. Organic looks are also popular fabrics right now—think leaf prints and large flower patterns used for throw pillows or occasional chairs. Chenille is another material that offers beautiful texture, with a warm feel that amplifies well-being. Linen works well for window coverings and another versatility bonus is that it can easily be dressed up with trim. Ashley Hilbish, manager at Curtains, Blinds & Bath, loves to use trim to enhance window coverings. Hilbish says, “Bandings are huge right now in window treatments and upholstery. We most commonly add them to the inside edges of a drapery, on the borders of pillows, or on the edges of fabric Roman shades to give a pop of color and contrast to the treatment. It really ties the space together without adding too much print.” Hilbish also notes that patterned bandings are popular now. “Greek key, chain link, and geometric are all top sellers for us in bandings,” she notes. Wallpaper is having a serious moment in home decorating. Large-format printers now create endless designs at reasonable prices. And new materials make it easy to remove, so the commitment isn’t forever. There are even papers and decals that can be put on the wall and peeled off once the room’s needs change—a great solution for nurseries and playrooms since children grow up so quickly. Chinoiserie patterns look fabulous in powder rooms and dining rooms above chair rail molding. Grasscloth still reigns as a wonderful material that comes in many neutral shades. It looks particularly smart in foyers, offices, and dens. There is even a wallpaper that makes your walls look like they are covered in distressed wood—think shiplap without the depth requirement. Once you see it on a wall, you will want to touch it to make sure it isn’t real. Indeed, now is the time to give your rooms a wash of the basics. Solid color backgrounds of white, cream, gray, blush, and taupe provide the backdrop for your artistic additions. This is the fun part! Try classics like a little velvet chair or throw pillow and mix in some linen drapes or Roman shades. 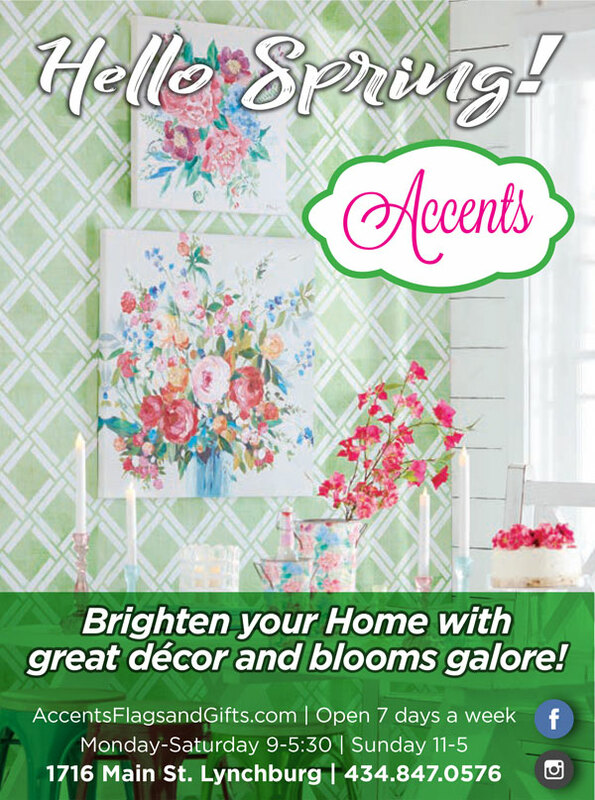 For a pick me up, put some wallpaper in your powder room and add sconces or a chandelier for sparkle. Jazz up your home office or library with grasscloth paper to make it an inviting space while you tackle bills and update your calendar. 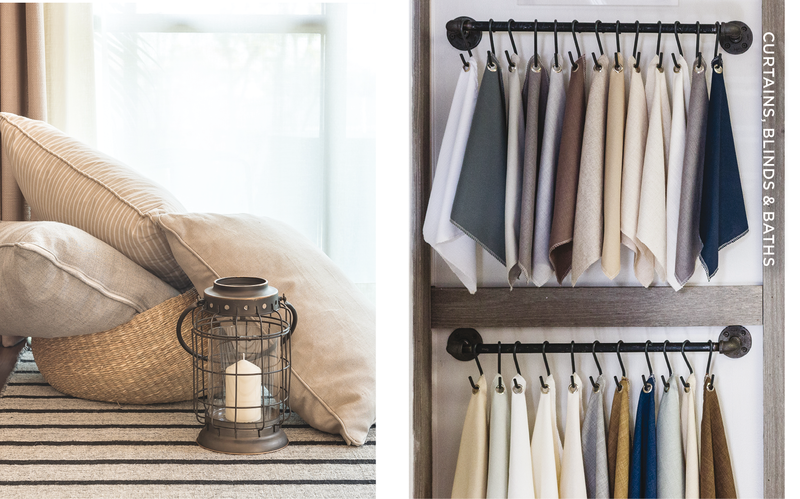 Once you have set your neutral color scheme, shopping becomes enjoyable when you search for the fun accessories that truly make a house your home.